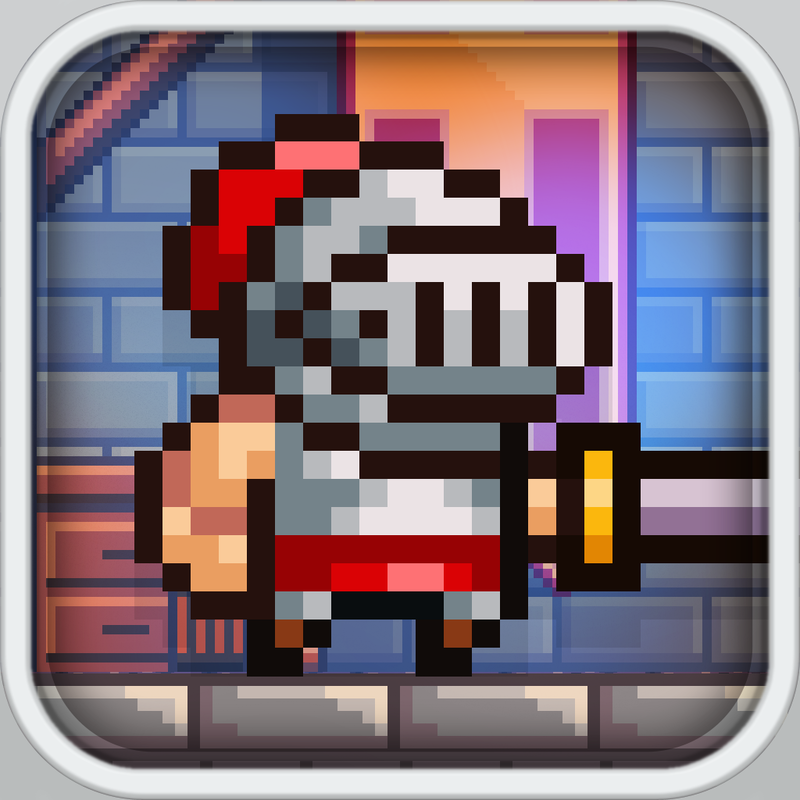 Goblin Sword ($0.99) by Eleftherios Christodoulatos is an action platformer that’s inspired by the classic games of yesteryear. 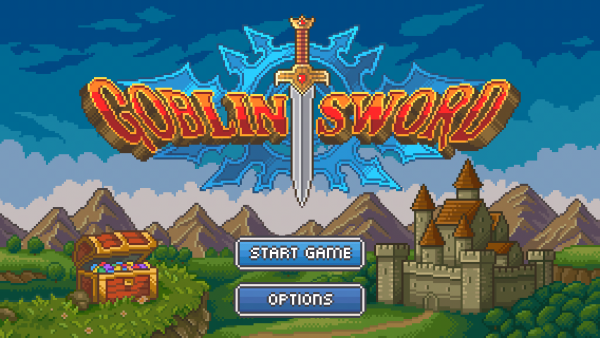 If you are itching to play something that will remind you of the golden age of gaming, then Goblin Sword is highly recommended. 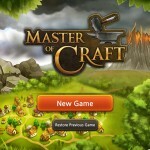 It’s similar to other games like Devious Dungeon and League of Evil. 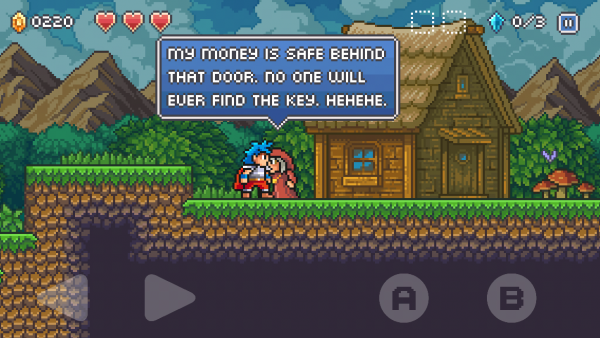 One of my favorite things to play is a platformer. They use a classic formula that everyone knows, and they’re quite a challenge. But when you throw in the extra action of sword swinging, slashing, and tons of loot? Well, I’m pretty much sold instantly. 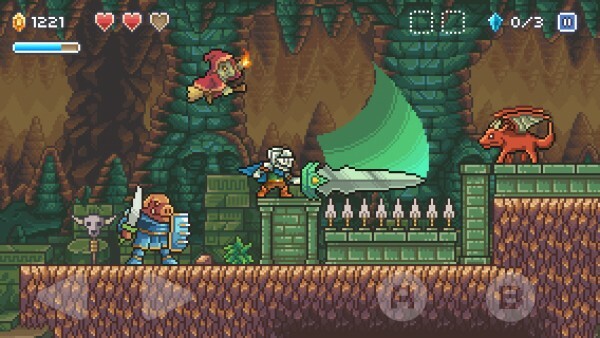 When I first saw some footage of Goblin Sword last week, I was pretty much salivating — it looked amazing. Now that I’ve got my hands on it, I can say that it’s a must-have. 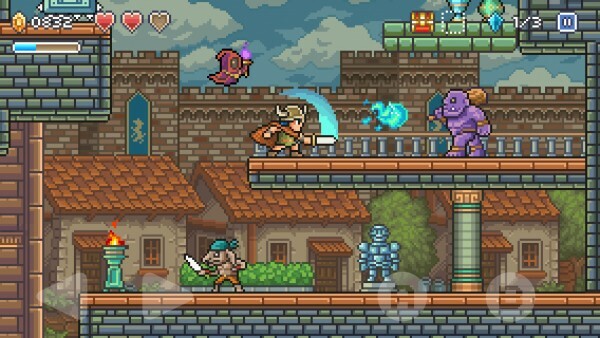 The visuals in Goblin Sword are outstanding. 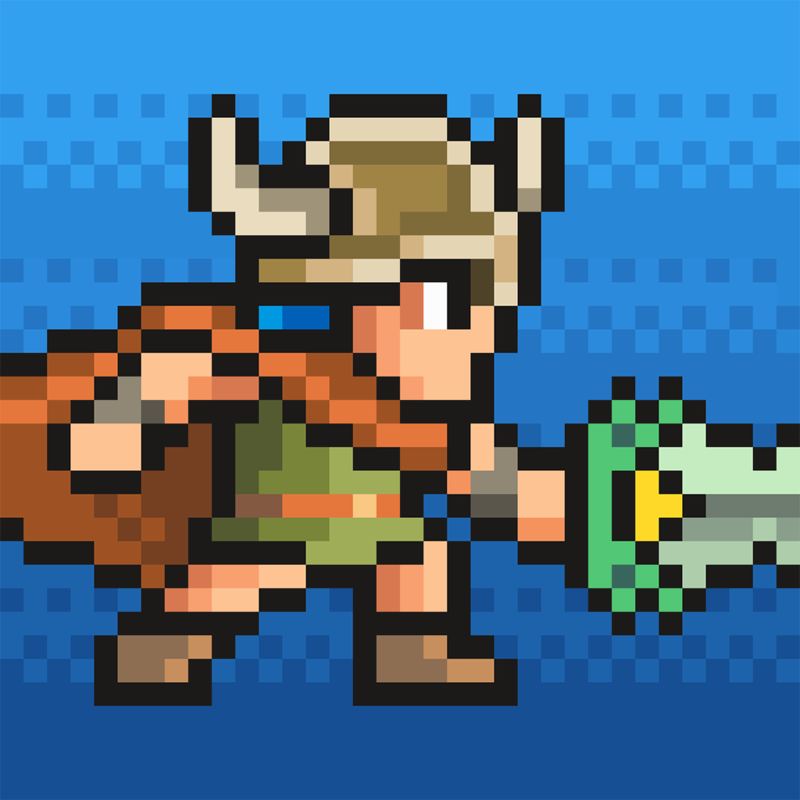 If you grew up on 16-bit systems like the SNES and Sega Genesis, then you will fall in love at first sight with Goblin Sword. 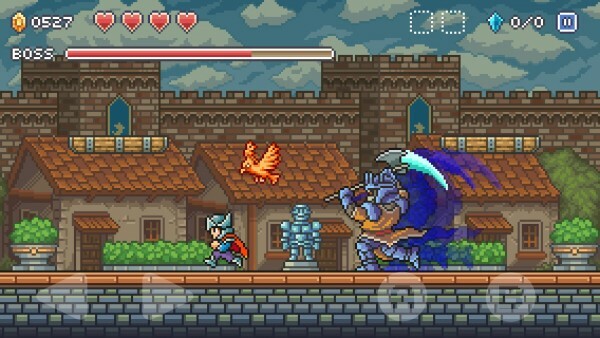 The game has a very retro look and feel thanks to the vintage 16-bit graphic art style, and everything is detailed — from the various environments you’re traversing through, to the powerful swords you’ll collect, and down to the appearance of every character you come across, including yourself. I love the attention to detail in everything about this game, despite the pixelated style. Animations are smooth and fluid, and the adventurous soundtrack is a delight to listen to. Controls in the game are simple enough. 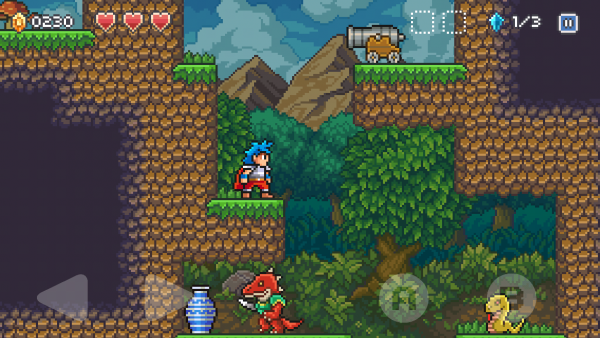 In the bottom left of the screen, you will find the directional buttons for going left and right. 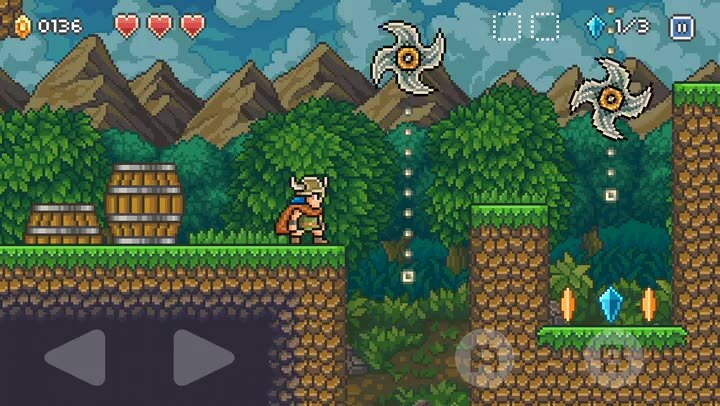 In the bottom right, there are two buttons labeled “A” and “B.” The B button will allow you to jump — tap and hold for a longer jump, or tap twice for a double jump. 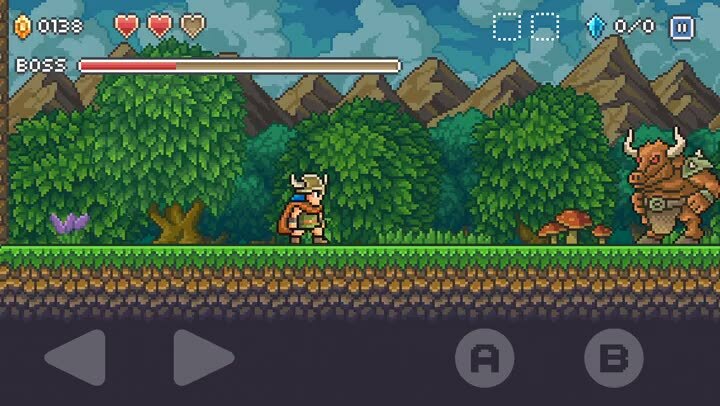 The A button allows your character to attack, and depending on your weapon and relic, you can also perform special attacks that deal more damage. While the default layout of the controls works well enough, I did find that sometimes I was hitting the wrong button and didn’t do the action I wanted to do at a critical time. 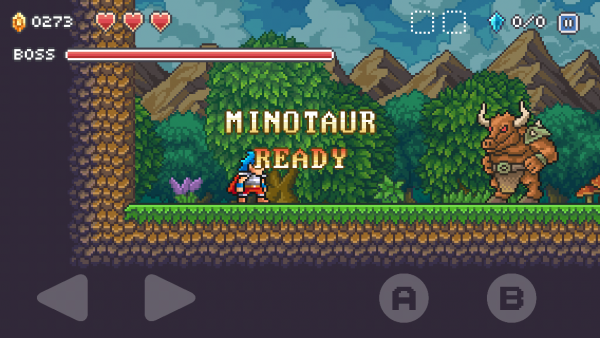 Fortunately, you can adjust the setup of the controls to your liking through the game’s option menu, which includes adjust the opacity and positioning by dragging. There’s other goodies in the Option menu as well, including statistics. 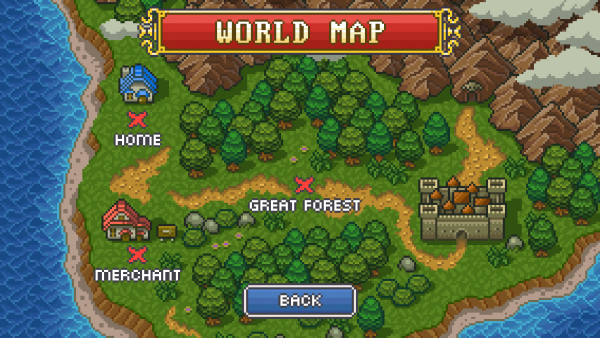 Goblin Sword will feature a world map that will have your Home and Merchant, along with all of the various areas that you’ll gain access to through the story (the first is the Great Forest). In your home, you can see your collection of souvenirs that you’ve found on your journey, as well as quests that you’ll want to strive for. 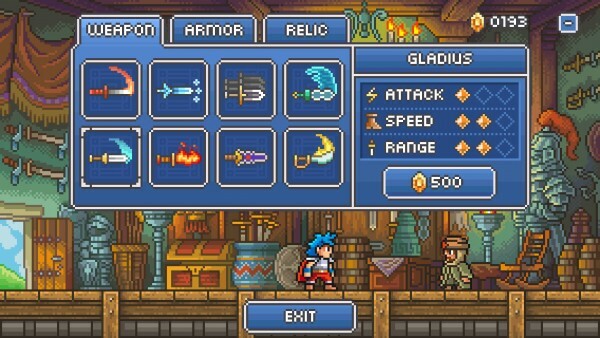 The Merchant is where you will go to buy new weapons, armor, and relics. 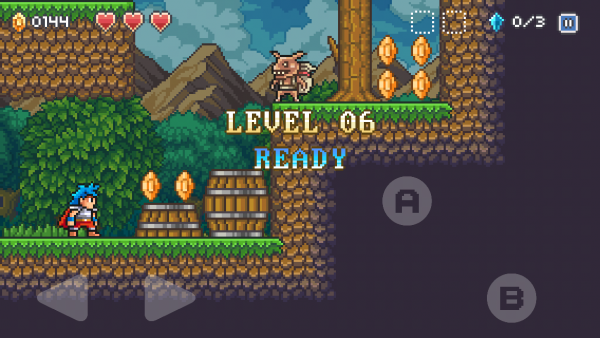 The areas will have about 18 levels in each, and there are a total of 48 stages to go through. 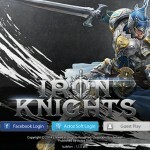 Six boss fights await as well, requiring all of your skill to take down. 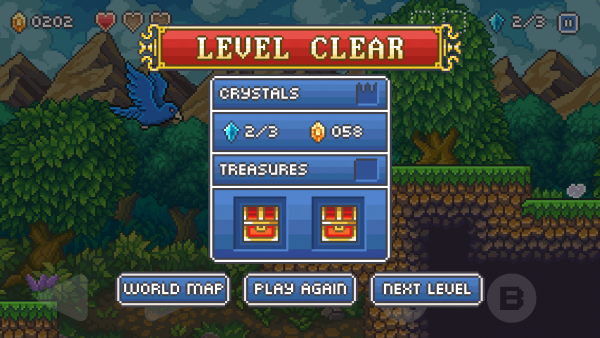 The goal in each level is to make it from the starting point to the next area, while gathering up coins, busting open treasure chests, and finding the crystal shards necessary before you face off against the evil wizard who has invaded your home. Along the way, you’ll find swarms of monsters that have taken over, so you’ll need to watch out for their attacks (they all behave differently) as you get rid of them. Some are easier to get rid of than others, but if you get hit, you lose a heart — you only have three, so make them last! There is a chance of finding a heart as you break vases, and if you can find four life potions, then you gain another heart slot. 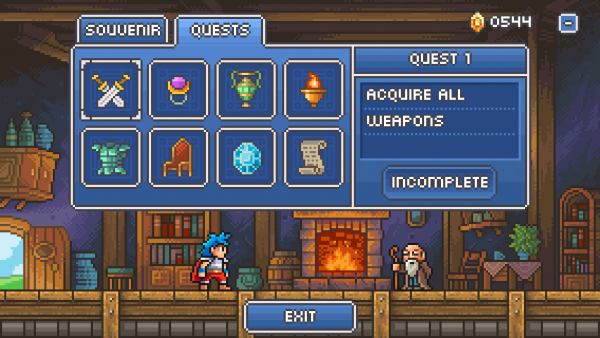 While Goblin Sword does not have any scoring system, there is Game Center integration for a grand total of 30 achievements. 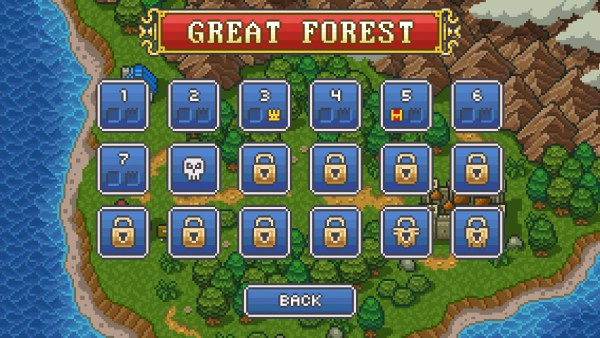 Acquiring all of these will not be an easy task, so it does add to the overall replay value of the game. 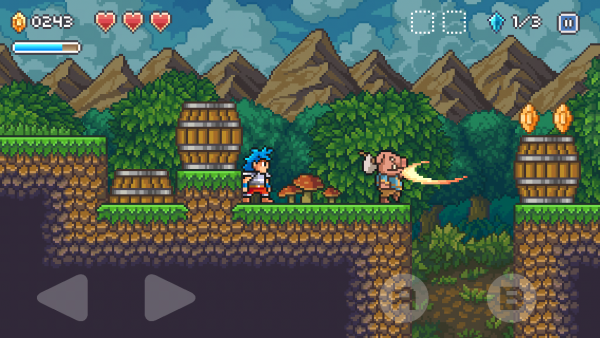 I’ve been playing Goblin Sword since I downloaded it last night, and while I may not have gotten too far in the game, I’m still enjoying it a lot. 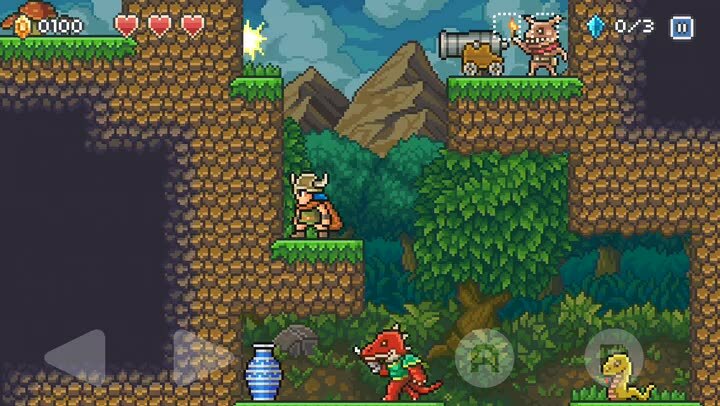 The visuals are beautiful, the music is great, the controls are adjustable and responsive, and it’s a challenging game overall, just like the classics. This is going to be the game I’ll be spending a lot of time with over the weekend and beyond. 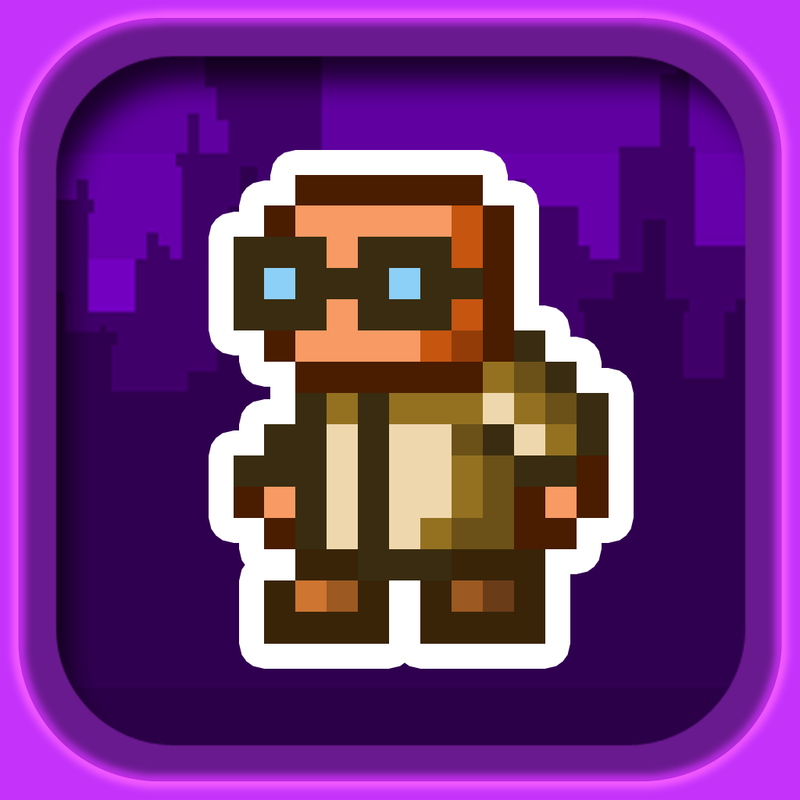 If you’re a fan of retro action platformer games, then I highly recommend that you stop what you’re doing and go pick this one up. You won’t regret it. 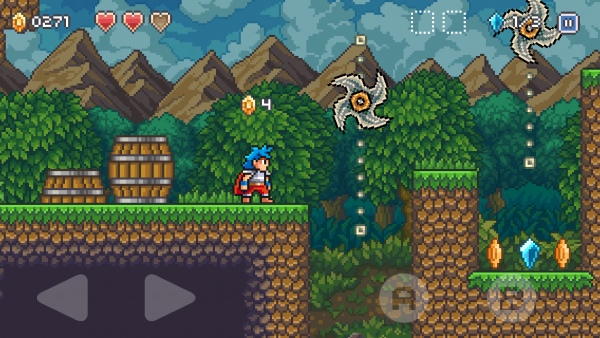 Goblin Sword is available on the App Store as a universal download for $0.99 (50 percent off for a limited time only).